For more than fifteen years the Republic of Austria has had a unique program of international reconciliation called the Austrian Memorial Service (Gedenkdienst). Under this program young Austrians can serve - in lieu of military service - in organizations focused on Holocaust remembrance. In the United States, hundreds of young Austrians have served over the years at such distinguished institutions as the United States Holocaust Memorial Museum in Washington, D.C., the Leo Baeck Institute in New York City, the Simon Wiesenthal Center/Museum of Tolerance in Los Angeles, the Houston Holocaust Museum and the Virginia Holocaust Museum in Richmond. The Austrian Holocaust Memorial Service was launched in 1991 by Andreas Maislinger, who served as a volunteer at the Auschwitz-Birkenau Museum in Poland and adopted the idea from the German Initiative for Reconciliation (Aktion Suehnezeichen). Since its inception it has become a unique international network providing assistance in Holocaust-related archives and museums throughout the world and has offered some 1,265 young people in their twenties an invaluable opportunity to serve abroad. Largely funded by the Austrian Federal Government, the program serves as an alternative to Austria’s compulsory military service. It assigns young Austrians to conduct research for continuing documentation of the Holocaust compiled in the archives, museums and libraries at various sites abroad as well as to initiate contact with former Holocaust survivors now living in those countries. Austrian volunteers who serve abroad in the field of Holocaust remembrance are recruited and trained by two organizations, the Association for Memorial Service (Verein Gedenkdienst), which assigns volunteers to the U.S. Holocaust Memorial Museum in Washington, D.C. and the Leo Baeck Institute in New York, and the Association for Service Abroad (Verein Österreichischer Auslandsdienst) with volunteers in Los Angeles, Houston, Richmond and New York. Every year two Austrian volunteers are assigned to the Leo Baeck Institute in New York, which is dedicated to scholarly study and preservation of Central European German-speaking Jewry. The Institute has developed a particular program, called the Austrian Heritage Collection. As a center for research, exhibitions, lectures and conferences, the library and archives of the Leo Baeck Insititute provide comprehensive documentation for the study of the German-Jewish heritage. They have a rich collection of books, photos, memoirs, periodicals, artifacts and documents. Established in 1996 in cooperation with the Austrian Cultural Institute in New York, the Austrian Heritage Collection documents the history of Austrian-Jewish émigrés who fled to the USA during the years of National Socialism. Hundreds of survivors were interviewed by Austrian volunteers. Their personal stories and experiences serve as an oral history and often lead to friendships between the volunteers and the survivors. The interviews are digitalized and appear on the homepage of the Leo Baeck Institute, making them accessible to the public to help survivor families locate relatives. All material compiled by the Collection will be used as a basis for research and analysis for future generations interested in knowing about Austrian-Jewish life during the years surrounding the Holocaust. Austrian volunteers at the U.S. 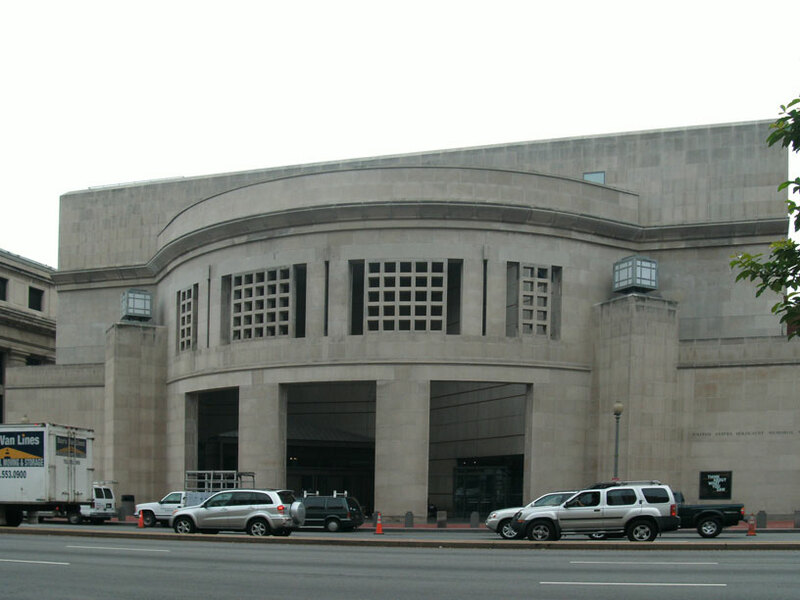 Holocaust Memorial Museum work as members of the division headed by Senior Historian, Peter Black. Their efforts to research and contact Holocaust survivors have proven to be a valuable contribution to the mission of the division of the Senior Historian. Many Austrian volunteers were involved with the Registry of Holocaust Survivors, a database which seeks to include the names of all Holocaust survivors, facilitates contacts between survivors and assists survivors and their families in their attempts to trace missing relatives. Comments of remaining survivors who have responded to questionnaires have become part of an historical record. The database has allowed for a number of survivors to find lost family members and rebuild friendships which date back to the Holocaust. The Registry now includes over 200,000 records related to survivors and their families. Inclusion in the Registry is voluntary and assures that the names of survivors will be preserved in the historical record. The significance of the work done by the Registry of Holocaust Survivors in finding names of survivors can be illustrated by the story of Austrian Holocaust survivor Charles Kurt. Christian Url, a former Austrian volunteer at the U.S. Holocaust Memorial Museum who has been working with the museum for several years, recalls his story. Born Karlheinz Goldschmidt, Charles Kurt grew up in Vienna and was one of seven other young Viennese boys who were evacuated to Brussels as part of the Refugee Children’s Movement (Kindertransport) in 1938. Together with thirty-five other boys, he attended the Speyer Home for Young Boys in Brussels before receiving a U.S. visa two months later. Two weeks after Charles Kurt was on board the boat from Rotterdam to America, German troops occupied Brussels. After his arrival, he learned of the event and believed for the next sixty-five years that he was the only one from the Speyer home to have survived. Remembering some of the names of his childhood friends, he asked the U.S. Holocaust Memorial Museum for help in discovering whether any were still alive. Lack of birth dates and other information made the search very difficult. A breakthrough occurred when the name of the home was entered in the database, revealing that in 2004 an extensive collection of photos from the Speyer Home was donated to the Holocaust Museum by one of the other boys who lived in the Home who lives today in Illinois. The successful search led to finding another one of the boys who was living today in Israel. The Gedenkdienst program has received a positive response from the partner institutions throughout the world and from the Holocaust survivors who have honored the efforts of the young generation to preserve the remembrance of the Holocaust. Their efforts have contributed significantly to a greater awareness of the Holocaust among young Austrians, thereby strengthening Austria’s commitment to fighting anti-Semitism and xenophobia. The ´Gedenkdienst´ volunteers are well aware of the significant responsibility their unique position bestows upon them. The importance of their work and that of the Austrian Holocaust Memorial Service has been repeatedly praised by the highest levels of government in Austria and the United States.